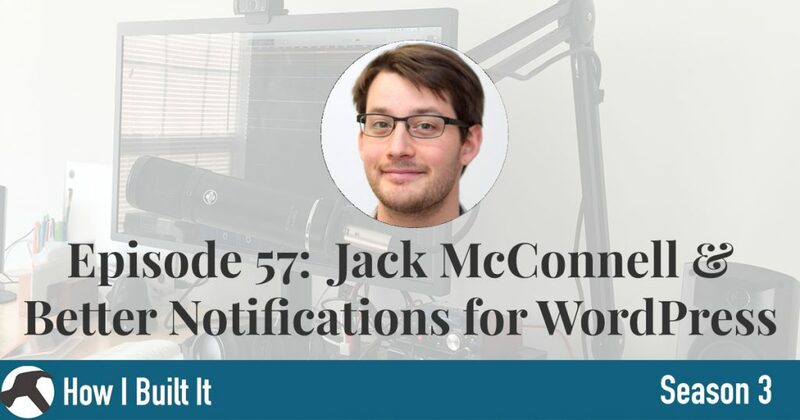 Jack McConnell of Made with Fuel talks about his plugin, Better Notifications for WordPress. We talked about scratching your own itch, and getting in there and coding. We also talked about the long game a little bit, so he talked about how he front-loaded a lot of research to make sure that the plugin was worth pursuing. He also talks about hiring out. It’s a nice take that developers are sometimes resistant to, but he wanted to make sure he didn’t waste as much time spinning his wheels. Want to engage with other listeners? Check out the Facebook Group!